Oil wells off the coast of South America’s only English-speaking country, Guyana, are now being drilled in earnest. Already Guyana’s economy is benefitting from millions of dollars being pumped by two companies into their operations. Should the drilling release the expected millions of barrels of oil and trillions of cubic feet of natural gas, the country’s economy will boom. However, a booming economy must ultimately produce top jobs for locals from what will become its highest-paying industry. If it fails to spread the benefits of high earnings across the entire community, the industries will become as much a cross as a crutch. 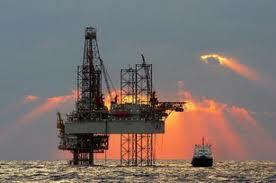 The companies that have started drilling are Canadian-based CGX, and Spanish-based Repsol. Shares in both companies are publicly traded, and Guyanese persons and companies have invested in them. Repsol, in partnership with CGX, Tullow and YPF is drilling a 6,500-meter (21,000 feet) well in the Guyana Basin that experts claim could hold up to 15 billion barrels of oil and 42 trillion cubic feet (1.2 trillion cubic meters) of natural gas. Separately, CGX is drilling in the same basin to a depth of 4,250 meters (13,730 feet). The cost of the drilling operations is in excess of US$200 million over the next six months in the first instance. In Guyana’s pre-independence period – as in Jamaica and Trinidad and Tobago – the mining sectors, bauxite, petroleum and asphalt – were dominated by expatriates who filled the top management, finance, marketing and technical positions. Because of the absence of local skills this was almost inevitable. This is not a situation that Guyana should sleep-walk into again. Having had no prior experience of the oil and gas industries, there is a chronic lack of skills in the Guyanese population to fill top managerial and technical positions. The University of Guyana and other technical schools are not training students to the required levels in drilling, design, mining, electrical, chemical, mechanical and petroleum engineering. Yet, all these skills and more will be required soon and over the coming decades. There will also be a need for geophysicists, geologists, and geochemists. Consequently, the government of Guyana should invest urgently in modernising and upgrading the country’s institutions of learning to cover not only these subject areas, but also to provide training in management, marketing and accounting for the oil and gas industry. Forty years ago, when oil and gas became key industries in Norway, there were few Norwegians with any skills or training to fill managerial and technical positions. Expatriates were brought in to carry out the required tasks, earning a disproportionate income to Norwegians. Wisely, the Norwegian government invested heavily in training its nationals and, today, the vast majority of qualified workers at every level of the industries are Norwegian, including Norwegian women. Guyana will not be able to train sufficient people in the short-term to fill high-level managerial and technical positions in the industries, but it should start to do so as quickly as possible. Some portion of the monies being paid to the government now by the companies that have already started exploring, and those that will do so shortly should be specifically allocated to provide such skill training by qualified lecturers and trainers many of whom would have to be recruited from abroad in the beginning. The government would also do well to offer places to interested nationals from countries of the Caribbean Community and Common Market (CARICOM) who could study at institutions in Guyana, and feed the oil and gas industries with the skills they need. It would make good business sense for the oil companies to give strong support to the government in such a move. Guyanese and CARICOM nationals, recruited in Guyana, will come at a less expensive cost than importing expatriates whose contracts usually include a range of extra benefits to attract them to foreign countries. Of course, expatriates will still be required for specialist activity, but the demand would not be as great if qualified Guyanese and Caribbean nationals are available. This argument also applies to the large-scale gold and diamond mining operations that are scheduled to start soon under contracts signed with two Canadian-based companies. The skills training in this area includes regulation, environmental safety as well as mine planning engineers and mine surveyors. With regard to safety, both CGX and Repsol made a good start by publishing and explaining emergency response plans should their drilling operations lead to oil pollution. This kind of transparency, open to public scrutiny, will boost confidence in the companies and engender a high degree of national support. Helpfully, the Commonwealth Secretariat, under its technical assistance programme, has provided expertise to the Guyana government to advise on matters such as systems and practices for the development of the mining industry, the upgrading of laws and policies, and the methodologies that are necessary to improve the overall framework for the mining sector. Properly administered systems will benefit the government as well as the oil, gas and mining companies. What’s needed now is training institutions to qualify Guyanese for top managerial and technical positions in the new and expanded industries, and a Guyana National Wealth Fund in which government’s annual earnings could be placed for medium and long-term investment. Only a Parliamentary-approved portion of the capital and the annual interest should be used to help fund the country’s national annual budget. The Norwegian model recommends itself. Throughout the current global financial crisis, and previous ones, Norway maintained a sound economy and a strong fiscal position because it has been fortified by interest payments from its National Wealth Fund in which a significant portion of its oil and gas revenues are saved. Today, the Fund is worth US$450 billion, owns more 1% of the world’s assets, and gives Norway a healthy annual income that helps to provide a high standard of living for its people. In the coming decades, that could be the Guyana story too.